When you find a phone that you want, when you find one it will bring you to the tariffs page for that phone, varying in monthly price and upfront cost. missed a key piece, you need to make a chargeable call to activate it on the system before requesting the unlock and cancelation or this will delay things. Also best not to cancel the direct debit but wait until after the first billing cycle as you will have a charge for your first bill could be pennies but you will need to be debited before cancelling. You will probably pay the full first month and then request the refund through the weblink on my bills. Also worth while doing any of it via webchat and keeping copies in case of issues. Do you need to be an existing O2 customer for this to work? missed a key piece, you need to make a chargeable call to activate it on … missed a key piece, you need to make a chargeable call to activate it on the system before requesting the unlock and cancelation or this will delay things. 1) Follow the get deal button, purchase the £99.99 + £22*24 tariff. 2) Receive your phone and sim card. 3) Put the sim card into your phone and go onto myO2 (app or website) and from there request the unlock code. 4) Call 202 from the same sim card as it will make things much easier, go straight to the I want to leave o2 department or something like that (I think it's thinking of leaving us? Press something) as that will connect you with the right people much quicker. 5) Tell the person you want to pay your device in full and cancel the airtime. They will ask you why, tell them you don't think the airtime is a good value for money, but you want to keep the phone because you think it's an outstanding value for money. They will ask you for card details, you tell those details and that's it, they cancel it for you in about an hour. 6) You own the phone from that point, assumed that you have done this straightaway, there won't be any charges, otherwise you will have to pay as much airtime as you have used. 7) Unlock code will come through in about 2 to 48 hours. My apologies, when I did it with a tablet I got from them, I didn't have … My apologies, when I did it with a tablet I got from them, I didn't have an issue/have to make a chargeable call (I put the sim into my iPhone to make the call to 202)Taken from Vassy4u's S7 post:Step by step guide for this deal1) Follow the get deal button, purchase the £99.99 + £22*24 tariff.2) Receive your phone and sim card.3) Put the sim card into your phone and go onto myO2 (app or website) and from there request the unlock code.4) Call 202 from the same sim card as it will make things much easier, go straight to the I want to leave o2 department or something like that (I think it's thinking of leaving us? Press something) as that will connect you with the right people much quicker.5) Tell the person you want to pay your device in full and cancel the airtime. They will ask you why, tell them you don't think the airtime is a good value for money, but you want to keep the phone because you think it's an outstanding value for money. They will ask you for card details, you tell those details and that's it, they cancel it for you in about an hour.6) You own the phone from that point, assumed that you have done this straightaway, there won't be any charges, otherwise you will have to pay as much airtime as you have used. 7) Unlock code will come through in about 2 to 48 hours. Step 1 : Buy phone as above with the above listed plan. Step 4: Once unlock request is done it takes 1-7 days to unlock. I would recommend you wait until the phone is unlocked before doing the next step. 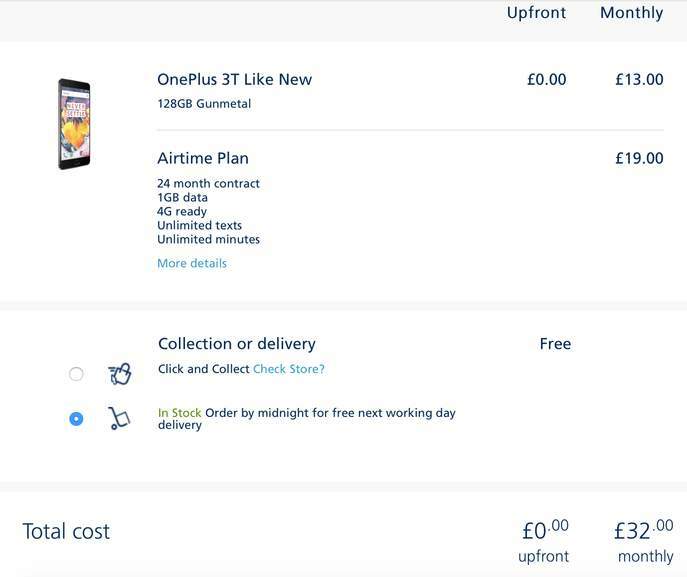 Step 5: Once the phone is unlocked successfully ring 02 and tell them you want to pay off the device plan which should be £3 x 24 = £120 and you want to also at the same time cancel the airtime. Now o2 customers services representatives are known to be a bit slow so you might need to speak to someone who is on the ball. They should then cancel the airtime and you would have paid off the phone so you have a fully unlocked iPhone 6 for only £72.00. PS: Some people have stated that o2 sometimes do not cancel the airtime contract part and they get sent bills afterwards, to avoid this I would recommend after you have cancelled the airtime after a few hours or days contact o2 support again and confirm that they have cancelled the airtime plan and get them to confirm in writing. PS: Some people have stated that o2 sometimes do not cancel the airtime … PS: Some people have stated that o2 sometimes do not cancel the airtime contract part and they get sent bills afterwards, to avoid this I would recommend after you have cancelled the airtime after a few hours or days contact o2 support again and confirm that they have cancelled the airtime plan and get them to confirm in writing. Ah, so I've just sorta skipped over the bit I've put in bold in your reply? Please also note that several users have had the full payment for the full contact taken from their bank, often for several weeks and that buying through O2 Refresh CAN damage your credit rating. Great and informative thread and comments. Also if anyone wants to look for more details (and any advice if anything goes wrong etc) search for the iPhone SE O2 deal which was posted I think April 2016. Because the phone was newly released at the time and O2 detected so many users going through the method to get the phone, O2 restricted the unlocks. If it happens to you (summary of the best solution) complain on the O2 UK Twitter page as the customer service will take you to a live chat and they have the unlock tool. O2's phone customer service don't have the unlock tool directly. Great and informative thread and comments. Also if anyone wants to look … Great and informative thread and comments. Also if anyone wants to look for more details (and any advice if anything goes wrong etc) search for the iPhone SE O2 deal which was posted I think April 2016. Because the phone was newly released at the time and O2 detected so many users going through the method to get the phone, O2 restricted the unlocks. If it happens to you (summary of the best solution) complain on the O2 UK Twitter page as the customer service will take you to a live chat and they have the unlock tool. O2's phone customer service don't have the unlock tool directly. What if we buy the phone by paying the full price upfront and then request unlock code and cancel the airtime? Will o2 still charge the 24m fee for airtime in error ?